submitted by Danielle Knight and Room 213. Want to bring some SECONDARY SPOOKY SEASONAL CHEER to your classroom? Danielle Knight (Study All Knight) and Room 213 have teamed up to bring you an exciting secondary giveaway just in time for the fall months.The winner will receive all of their common core, multiple intelligences, and bloom's taxonomy needs right here in this diverse prize pack! Secondary teachers really have a hard time fitting the holidays into their lessons and materials. We've created materials that can easily be implemented with very little prep. So be sure to enter today! 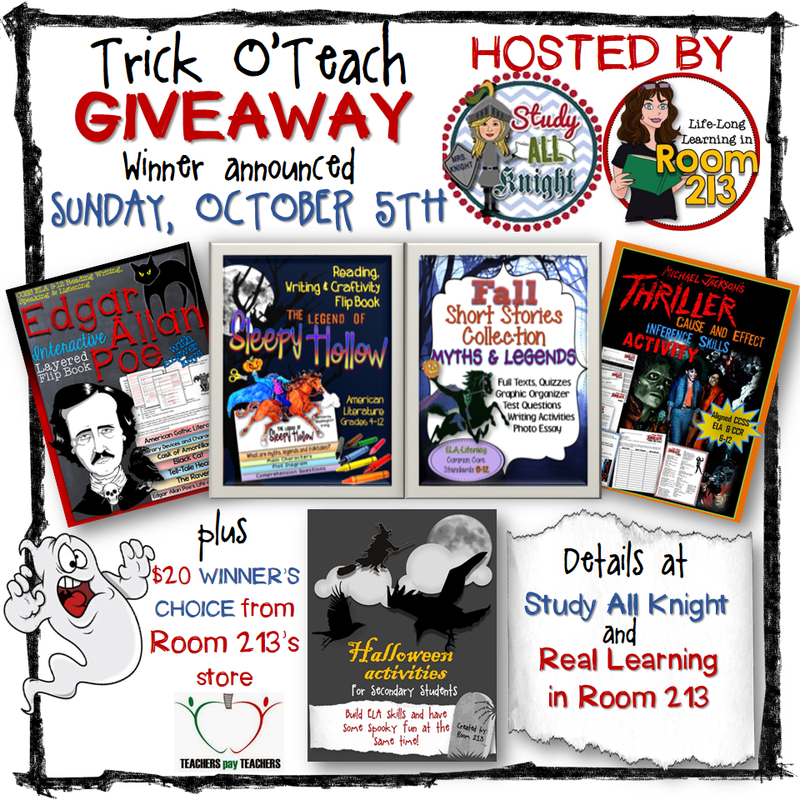 Your students will think your class is SPOOK-TACULAR! Try to complete all the entries.You can earn up to six chances! Winner announced on Sunday, October 5th. Good Luck!